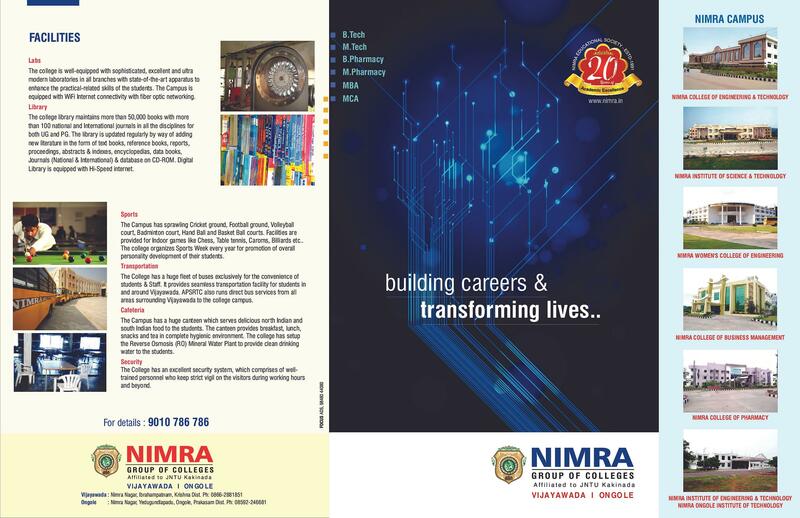 Nimra College of Pharmacy, NCP is located close to Ibrahimpatnam on NH9 and is at a distance of 17 km from the city of Vijayawada. It was established in 2006 with an aim of providing quality pharmacy education with the changes taking place in the modernised education system in mind. Ever since its establishment, it has been counted as one of the premiere education institution in the field of pharmacy along the entire coastal region of Andhra Pradesh. Thanks to the quality of staff, faculty, experiential programs, curriculum, student services and students, the college has been running successfully and making big leaps in the field of pharmacy. Its mission is to improve the health status of individuals and the community thereby contributing in the development of a an improvised society. It is approved by AICTE and certified as a Minority institute by the Government of Andhra Pradesh. 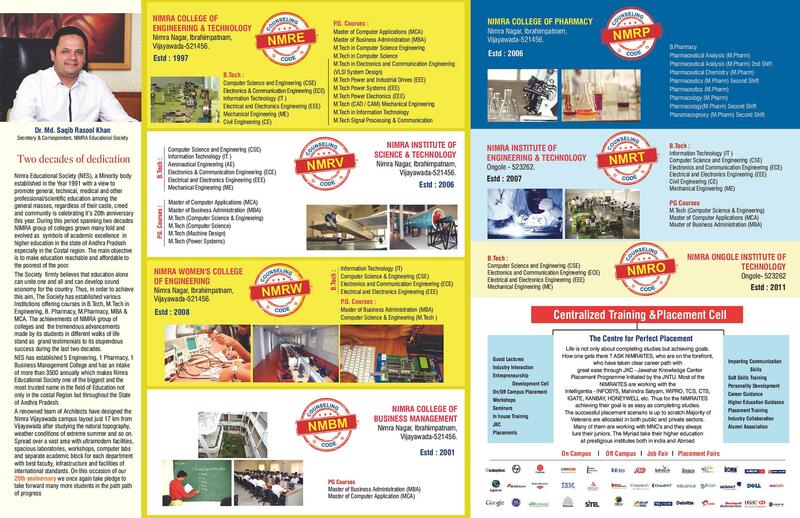 Why choose Nimra College of Pharmacy? State of the art facilities: NCP is located in a big campus and provides all the requisite facilities for the correct development of its students. These include provision for different sports, labs for gaining practical experience, updated library with more than 50,000 books, cafeteria, transport facility, etc. Emphasis on comprehensive student development: The college understands the fact that apart from education, entertainment and sports play an equal role in the overall development of an individual. This is why it conducts different kinds of competitions and activities and awards handsome prizes to the winners.